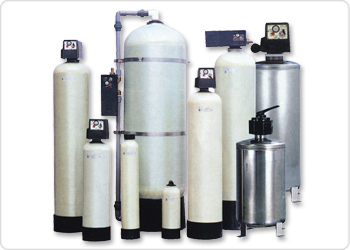 Actived Carbon Filter can carry out adsorption and filtration when water processing. Efficiently to deal with water turbidity, odors, residual chlorine, pigment, suspended matters and organic. If you need Automatic Activated Carbon De-chlorination System, please do not hesitate to contact us. Actived Carbon Filter helps get rid of Ca, Mg and soluble Iron efficiently. According to capacity, cleaning frequency can be set once a day to once every seven days. This system flush impurities which deposit in activated carbon on definite time. Therefore having a longer using time and avoid bacteria. After cleaning, it will return to filter process automatically. Fashion design and easily to install, good appearance and delicate setting. US-made strengthen multi-layered glass fiber tanks. Operating pressure is up to 150 psi atmospheric temperature. Material and pressure test of tanks have NSF and FDA certificate. Coconut shell based activated carbon feature with high adsorbability and long working life.